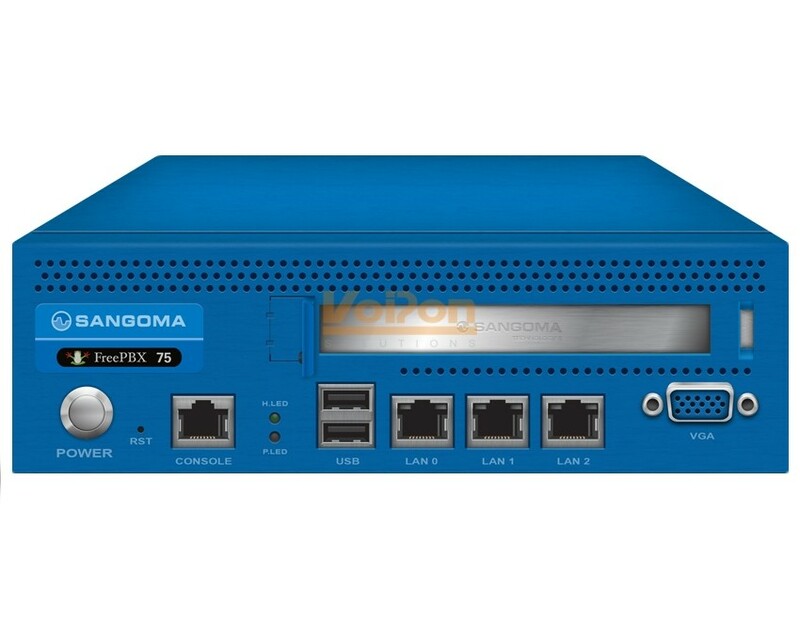 The Sangoma FreePBX Phone System 75 is cost effective and feature rich, making it ideal for small to medium-sized businesses and branch office deployments. The Sangoma FreePBX 75 business communications solution also features simple and seamless integration with Sangoma's IP phone range. UCP provides each user with a web based login to allow easy control of their personal experience from any device. VoIPon - your Sangoma FreePBX Phone System 75 - 75 users or 45 calls[FPBX-PHS-0075] distributor, supplier, reseller! Get all your wifi at VoIPon! If you would like to be notified when the"Sangoma FreePBX Phone System 75 - 75 users or 45 calls" is re-stocked, please enter your contact details and we will notify you instantly.